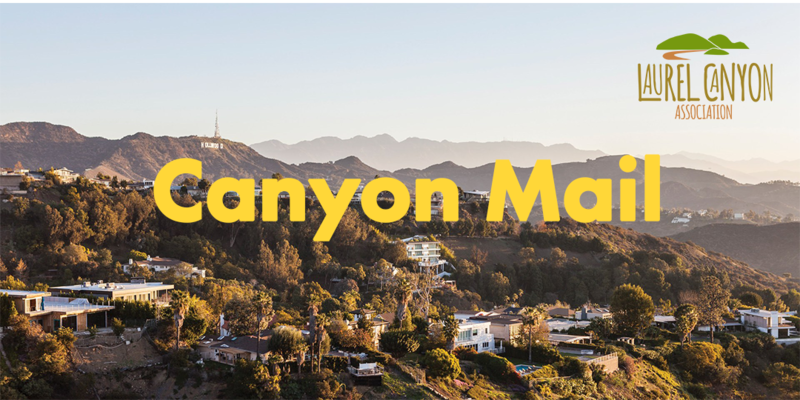 Canyon Mail is a FREE service for all members of the community and you do not need to be a member of the Laurel Canyon Association to enjoy its benefits. It was originally designed to share emergency information, such as fire, road closures, etc. Today it has also become a service to share other information, including community services, upcoming events, and happenings in and around our community. Canyon Mail is subject to the posting rules of the LCA and is provided as a volunteer effort for the community. Support for the LCA and Canyon Mail come from community members like you through annual dues. Please consider joining the LCA here.